Ahead of them kicking things off on the opening night of Liverpool Music Week at The Kazimier on Friday, Getintothis’ Mike Stanton gets to grips with BODY.’s atmospheric and artful electronica. Luke McCulloch and Richie Craddock of D R O H N E have joined forces with Dan Ellis aka VEED to create BODY. a dark and eerie experimental electronic act and they have released two tunes of warped and ghostly ambience. First track is COMA, a primordial synth-clad slice of melodic and emotive ambient drone. It slowly builds, emerging from a well-space located miles beneath the earth’s surface to emerge fully-formed into the grey daylight. ACID2 is similarly deep and spooky. Understated 808 beats with claps and chopped samples create an urgent pace as haunted, acid-tinged sounds continually propel upward-spiralling sinewaves suspended in deep bass and blinking oscillators. Both tracks appear to be drenched in despair and isolation. Introspective with outward expansion, they attain paradoxically dilatant washed sounds with twitchy paranoid claustrophobia. It is a heady mix that leaves its mark. The sound stays in your head and can’t be shaken out. BODY. have achieved the same effects heavy atmosphere created by bands like Joy Division; bleak and expansive swirling soundtracks that fit into the landscape of the industrial north. 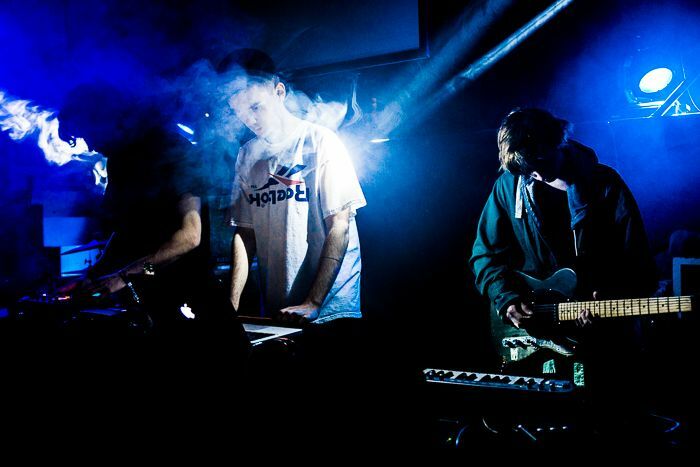 The two bands have combined their respective strengths; a heady mix of D R O H N E‘s otherworldly spooky ambience and VEED‘s organic, glitch-edged soundscaping. As a whole it works. Deftly produced and densely layered, it is beautiful ghost-clad poetry that is emotive and slightly unsettling. BODY. will kick off Liverpool Music Week‘s opening party at The Kazimier on Friday October 23.